Welcome! Jaftex is the parent company of Henry Glass & Co., Studioe Fabrics and Blank Quilting and we are excited today to kick off the celebrations for the Jaftex 85th Anniversary Blog Hop. We are so excited to see all of the projects made in honor of Jaftex’s first ever blog hop and 85th Anniversary celebration. 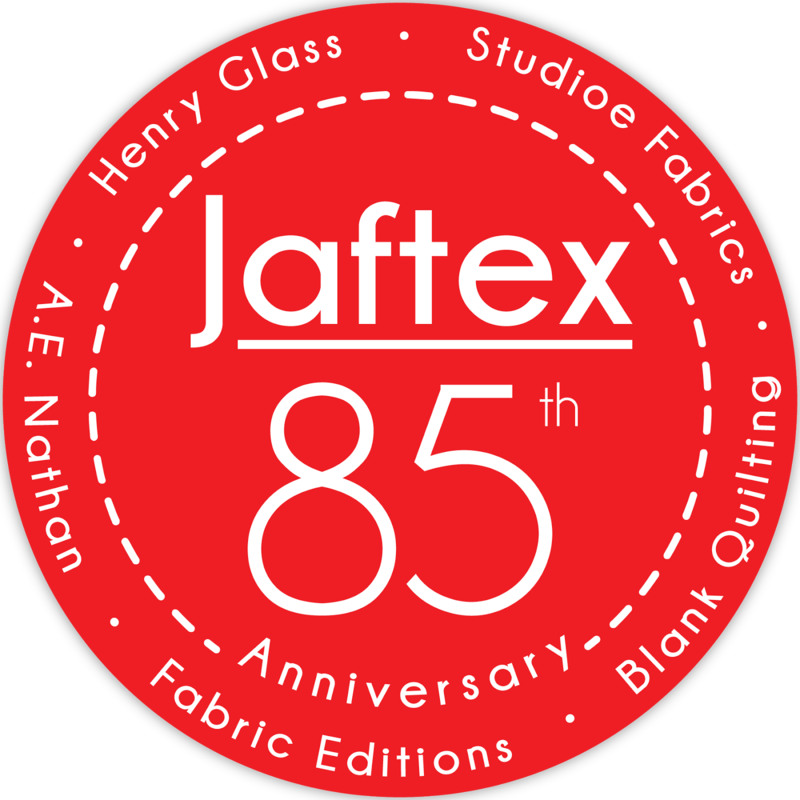 Jaftex is the parent of several companies, 3 of which cater solely to quilt shops only: The Blank Quilting Corp., Henry Glass Fabrics & Studioe Fabrics. Each of these companies and its employees could not be more proud to be a part of this special celebratory blog hop. Thanks to all of our dear friends that contributed their time, skills and social media prowess in order to make this blog hop a huge hit. We could not have achieved such great results without your contributions. It means a lot to us that so many people were willing to step up on behalf of our companies and our family. We truly value your friendship and partnership. Thanks a million! Being part of a family business is very special and rewarding in so many different ways. At the current time, the third (Robert) and fourth generation (Scott & Greg) of the Fortunoff’s are holding down the fort, with several from the fifth generation on deck. With 85 years behind us, we look forward to what lies ahead especially as this industry continues to transform with lots of new advancements. We are excited to see what the future will bring and hope that you continue on this amazing journey with our family as we get closer to the very big and exciting 100th anniversary. As we look toward the future, we would remiss if we didn’t talk about the past. 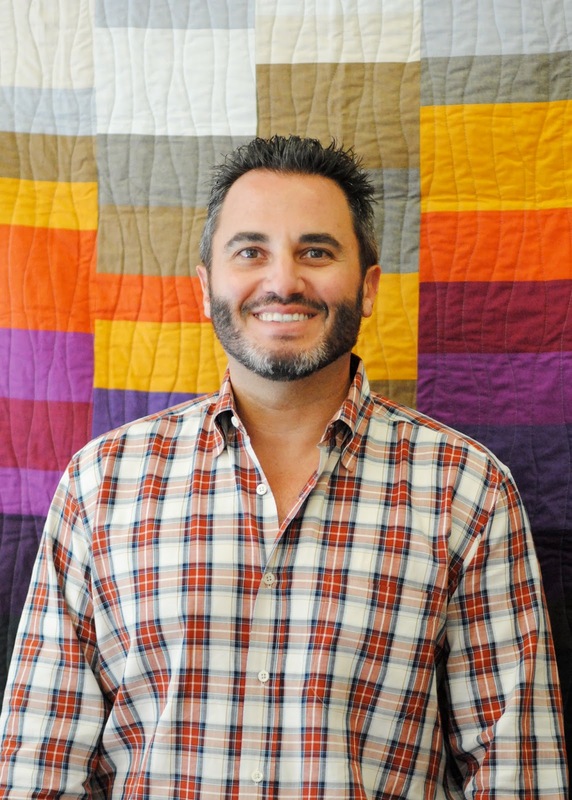 Thanks to Jacob A. Fortunoff, the JAF in Jaftex, for having the guts to go out and start his own business. We could only imagine what effort was involved with starting a business from scratch in the early 1900’s. Thank you to Jacob’s sons, Everett & Dan, for their contributions to the business too. Each generation certainly faced challenges along the way and luckily no one gave up the quest to keep Jaftex alive. There is no doubt that all of these Fortunoff ancestors are looking down at us and smiling to know that their legacy lives on. Thanks again to everyone involved, both past and present. We invited over 30 designers, quilt industry friends and bloggers to help us celebrate. Bundles of Henry Glass' Folio Basics, Studioe's Peppered Cottons or Blank's Fusion Illusion were sent to our friends and we asked them to make something special for our blog hop. They did not disappoint! Each day we will reveal the designs on the designers' blogs. We are starting the blog hop with Kim Diehl guest posting on the American Patchwork & Quilting blog. Enjoy! 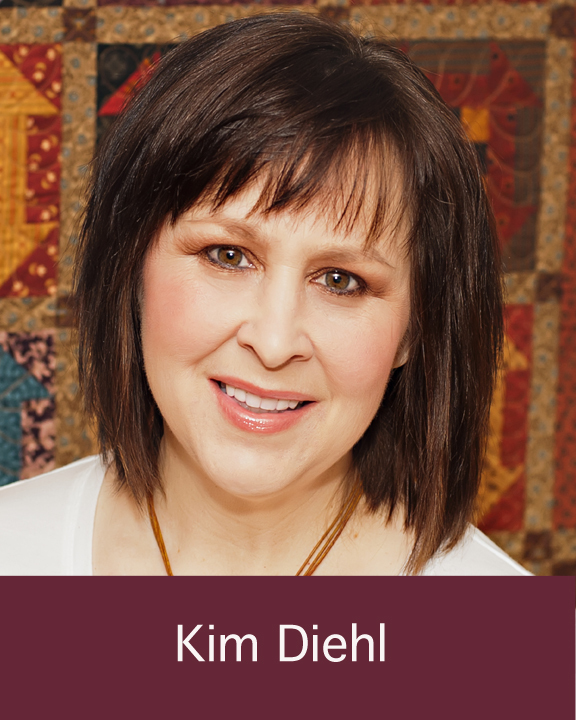 You can find Kim Diehl's beautiful designs on her website or read all about her daily process on Facebook. Currently she is working on her upcoming collection Sunday Best and her new Simple Whatnots Club 4 collection. Quilters attic in Bountiful, Utah is my favorite shop. I really enjoy Lyons Quilting in Lyons, Colorado. Thank you for a chance to win this generous giveaway. Happy birthday Jaftex! My favorite quilt shop is Sew Simple in Redding, CA. Thank you! Spyceware Sewing Center is just starting out. I think it would be great for them to have the fabric to help boost their inventory. What an awesome lineup! The nearest quilt shop to me is the Heirlooms and Comforts Shop in Central, SC. I would love to see The Quilters Patch at Edna, Kansas win loads of fabrics... especially the Peppered Cottons! They are a small shop in the middle of Nowhere, Kansas, and a testament to "if you build it, they will come." Thank you!!! My favorite place to shop locally is not really a quilt shop, but it has a huge area of quilting fabrics. It's Mary Jo's in Gastonia, NC. My local shop, Bernina Sewing Centre, Lake Mary, FL, where I have purchased three machines and get fantastic support! My favorite shop is West Virginia Quilt in Barboursville, WV. Friendliest little store around. Sew n' Sews, I dont' get to go there often but at 55 miles they are the closest we have. Very nice people in there too. My favorite local quilt shop is The Quilt Tree in Anchorage, Alaska. How fun! I just recently found a couple lovely local quilt shops! I'll say 3 Chicks and a Hen in Athens, AL! My favorite quilt shop is Neal's Vacuum and Sewing Center in Muscatine, Ia. I recently visited Thimbles and Threads and loved how friendly the staff was. Congrats!! My favorite quilt shop is All About Quilts in Manhattan, Kansas. I love shopping at Pocono Sew & Vac in Stroudsburg, PA. Great staff, great machines and support, and great fabric department. They'll be moving back into their shop soon, so new bolts would be fun to send them. There was a fire last year, and they're still renovating the building, but the temporary shop is across the street. Stitcher's Crossing in Madison, Wisconsin. Sew to Speak in Columbus Ohio! I will have to try and make to my local quilt shop. They have the whole area where they are torn up with road construction. Very hard to get to. GeeGee's in Yelm, WA has the nicest staff! Thanks for the fun! The Quilt Crossing in Boise Idaho. I absolutely love Sew Modern in Los Angeles, CA. Everyone there is so incredibly friendly and encouraging! Thanks for the chance to share the love! The Quilter's Studio in Fairfax, VA.
Intown Quilters in Decatur, GA.
Material Girl in Grand Island, Nebraska! Debbie is great, hosting a monthly sewing day. I have met many good friends at that sewing day!! Burkholders fabrics in Denver pa.
My favorite local quilt shop is Quilt therapy in La Grande, Oregon. My favorite shop is The Granary in Sunnyvale, CA. What a wonderful contest. I have many favorite quilt shops! I'd have to say, Missouri Star Quilt Co. is 1 of my favorites. Little Shop of Stitches in Miamisburg, OH. MY favorite quilt shop is an online one, Hancock's of Paducah. Great sales and incentives. Always good service! I'm an online shopper as well, but do go to Around the Block in Giddings Texas once in awhile. Twin Cities Quilting in Roseville, MN! The Pink Castle in Ann Arbor, Michigan!!! The inspiration, talent, and help to be found there, with Brenda and her wonderful staff, is truly exciting! My favorite local quilt shop is Sew Vac Ltd. in Long Beach CA....and they are one of the few LQS's left in that area! A & E Pharmacy. I know right?! Left side of the store is a pharmacy and the right side is a fantastic quilting/sewing/crafting/ fabric store. Pins and Needles in Middleberg Heights, Ohio. I love Quilter's Quest in Woodridge, IL. They are so personable, and the fabric selection is off the charts. I nominate the Quilt Patch in Mt Pleasant, PA. I love Missouri Star Quilt Co.
My favorite online store is Missouri Star Quilt Co. The only shop near me is Country Treasures in Brockport, NY. So hard to choose, but Debbie's Quilt Shop in Osage, Iowa is sweet. My favorite shop is Hawthorne Threads. Sara says The Victorian House in Ashville, Alabama. A wonderful group of ladies run the shop. It is also one of the few shops left in this area. "My Sewing Room" in Calgary, AB Canada! They are amazing! Stitch Your Art Out In Pine Grove Mills, PA.
Queen Bee Quilt shop in the Grand Rapids Area Michigan. I have a lot of favorites but the ladies that work in this shop are some of our favorites! My favorite quilt shop is Cozy Creative Center in El Cajon, CA. The Fabric Shack in Waynesville, OH is fantastic! Valley Fabric in Lyman, WY always has a great selection of new fabric lines. I don't have any local shops and I do not frequent the ones in nearby cities. I tend to hit shops whenever I travel and buy online. I know, sad. While I only get there once a year, if at all, I'd like to see Quilt Vine in Trappe, MD win. Thanks! I don't have a local fabric shop, but I really like Plush Addict. No shop near me,but I love Shabby Fabrics. My favorite quilt shop is Sew Divine in Edmonton, Alberta. Thanks! Little Quilts in Marietta, Georgia! There are 4 quilt shops locally which I visit often and like all their personnel. 35th AV Sew & Vac/Fabric World may be my favorite, though. My local quilt shop is Broadway Quilts in Sonoma, CA. My favorite quilt shop is The Art of Fabric, Pickering, Ontario. I love to go to shops so I can see and feel the fabrics! My favorite quilt shop is Tennessee Quilts in Jonesborough, TN. My Local Quilt Shop is Quilt & Textilkunst in Munich, Germany, I hope they qualify for this entry. If a non-US quilt shop does not qualify, I can offer Pink Castle Fabrics in Ann Arbor, MI, as my favourite, I haven't been there in person but I order online regularly. Thanks for the chance! I love the quilt shop called I Sew Boutique in Marathon, ON... It is an hours drive away and has an amazing selection of all sorts of fabrics but an incredible selection of batiks!!!! The Quilt Crossing in Boise, Idaho. My favorite LQS is Scrapbooks Etc. in Mesa, AZ. Olive Juice in Onlaska ,WI. Well, like most of the quilters these days, I do the bulk of my shopping online. My 2 go to shops are: the Fat Quarter Shop, and Missouri Star quilt co. Thx much!! Kelly J's Sewing Center in Duluth, MN. I buy the majority of my fabrics from my local quilt store, Kathy's Quilt Shop in Prince George BC. I do mostly online shopping because of where I live. I suppose the one I shop at the most would be Missouri Star Quilt Company in Hamilton, MO. I do most of my shopping online because of where I live but one of my favorites and the one where I do most of my shopping is the Missouri Star Quilt Store in Hamilton, MO. What an amazing Giveaway!! Congrats on the anniversary! Heaven on Earth in Wabash, IN. There is a little shop in my general area called "The Quilting Loft", I would choose them if I won. It's a small shop, which is why I like it. Ma and Pa stores are disappearing. The lady that runs it is very friendly! Have a great day! My local quilt shop is Stitch n Sew in Mount Pleasant, SC. Congratulations on such an important anniversary! My favourite shop is online, it's the Fat Quarter Shop! Heirlooms, in Central, South Carolina! Ruby Street Quiltworks, Tumwater, WA, USA is my favorite LQS. Congratulations on your 85th! Happy Birthday and thank you for the opportunity to enter this fabulous contest. My favorite shop,is Laura Sewing in Palm Beach Gardens, Florida. Laura and her husband Dave are about the sweetest couple, they greet you by name when you come into the shop. I always feel like a family member when I'm there. They are always helping the local community in outreach programs and open their shop to sewing organizations to help as well. 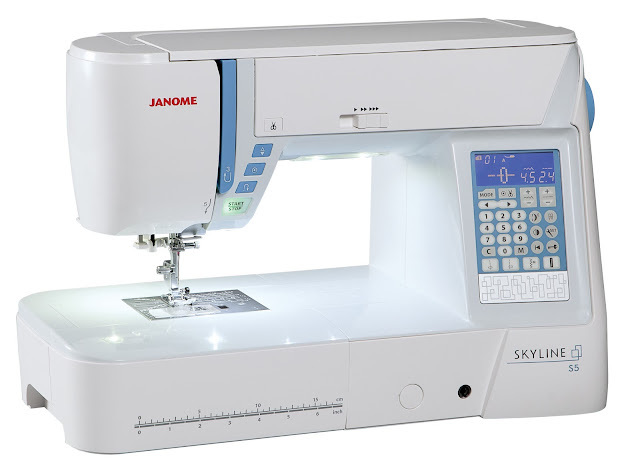 They guide us in how to use our sewing machines the best. Favorite local is Valli & Kim's, great people and great shop in a small town. My favorite fabric shop is Hancock's of Paducah, in Paducah, KY. Thanks so much for the chance! When in Tulsa I love ellen Medlock's Studio but whenin Pennsylvania it is Byrnes Sewing Connection in New Britain. Sew and So in Yuba City, CA. My favourite quilt shop is 4-40 Quilt Shop in Saskatoon, SK Canada They are wonderful - so helpful, and carry wonderful fabrics. It is a wonderful place to visit, have coffee, learn new things - meet new people! I love it. There are no quilt shops near where I live, so I don't have a favorite. I would make a quilt with the log cabin pattern in the pillow...awesome! Favorite local quilt shop is Vicky's Fabrics in Kapaa, HI! Thanks for the contest!! Tracy G.
The Joyful Quilter in Glenville, NY is my favorite spot. The name says it all! My favorite quilting store is the Sewing Studio in Maitland Florida (sewing.net)! I don't have any quilt shops where I live so I have a choice of two fabric craft stores and they are JoAnns and Hancocks. I go to both places about the same can't help it I love fabric. I love quiltworx in Bellevue, WA. It brought me into quilting. Quilters Emporium in Stafford, TX. I'd have to go with Periwinkle Quilting & Beyond, even though I don't go there often, it's friendly and has a great selection. I love Quilt, Quilt,Quilt, Etc. in Sandy, Utah. We usually just call them Quilt Etc. I've been going there for over 20 years and they are now in their third generation of family ownership. It's a marvelous shop! Quilt Etc in Sandy Utah. They are the best! Fat Quarter Shop, online quilt shop! thanks for the chance! My favorite local shop is Byrnes sewing Connection. It is a big group of talented ladies. If I could send it to my favorite Wahm who does a lot of work for me I would love that!